When you sell fashionable clothes online, it's a good solution to choose a website similar to catalogs and magazines customers use to get to know about the latest trends in the industry. Home page of the store consists of catching promo banners, supplied with various hover effects. They stand out against the dark star pattern background. Elegant fonts and pink footer make the impression complete. 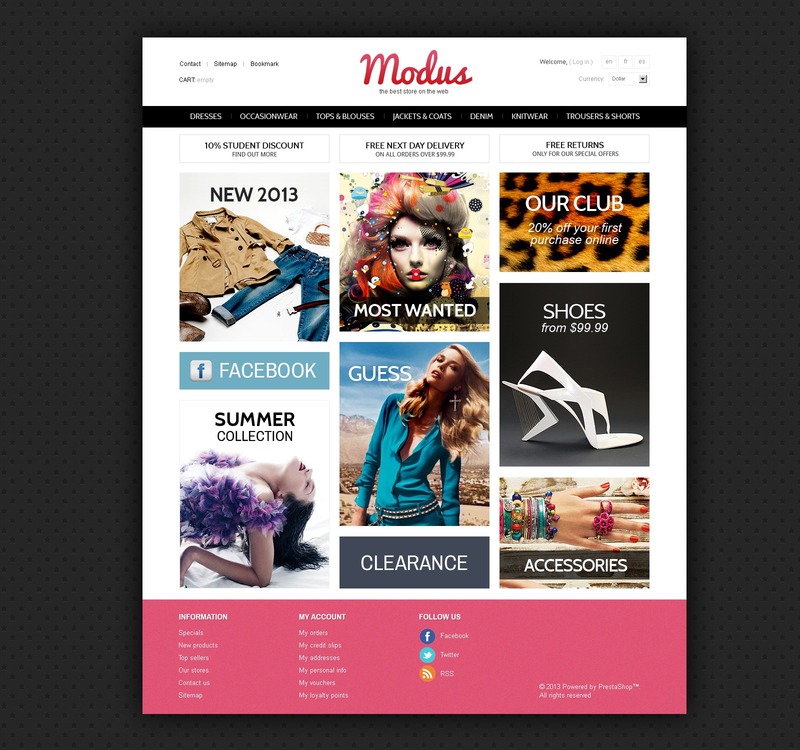 Design is perfect for online clothing, footwear and accessories stores.